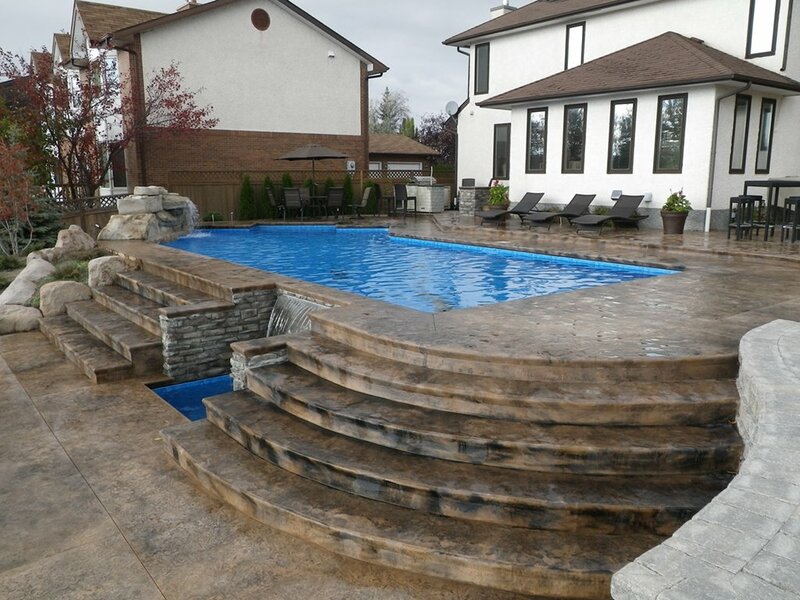 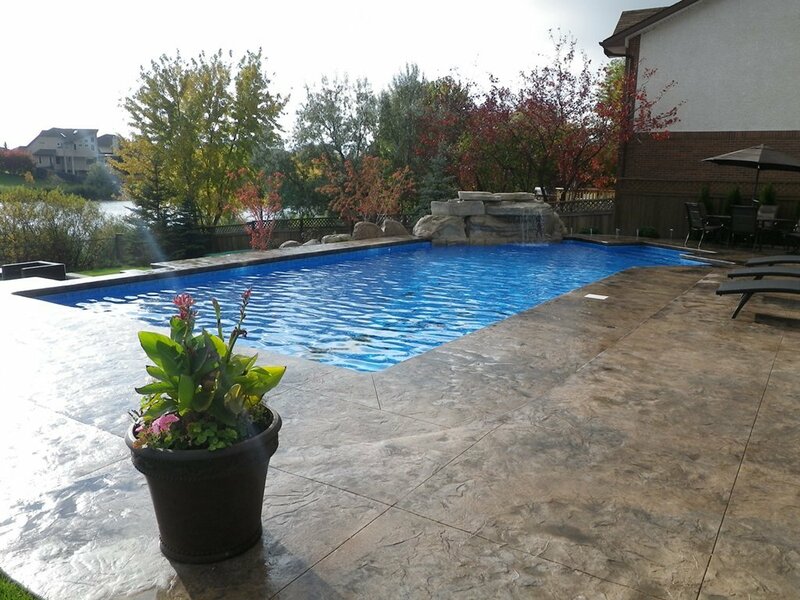 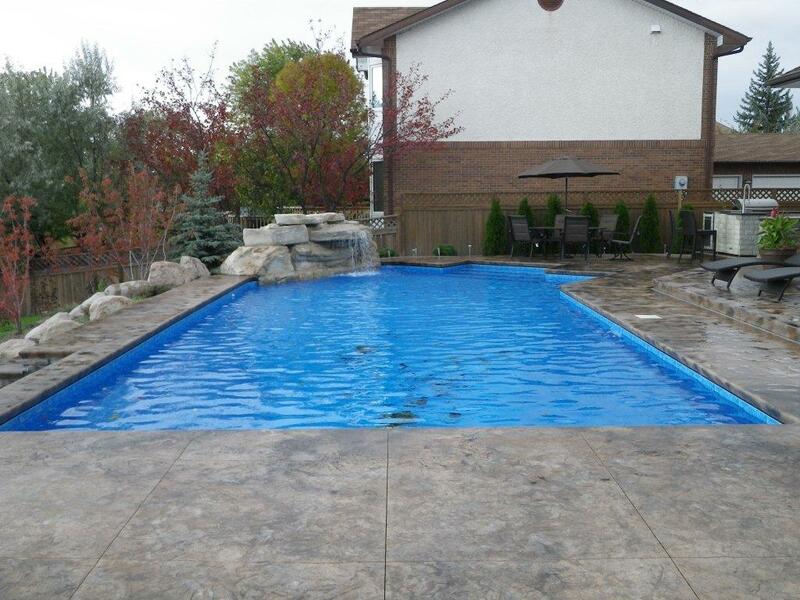 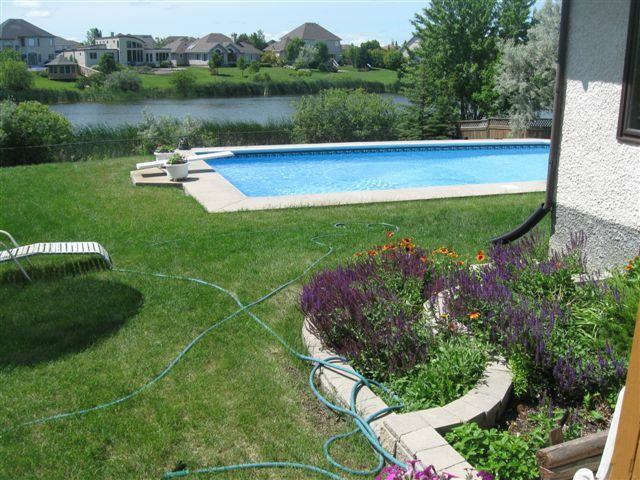 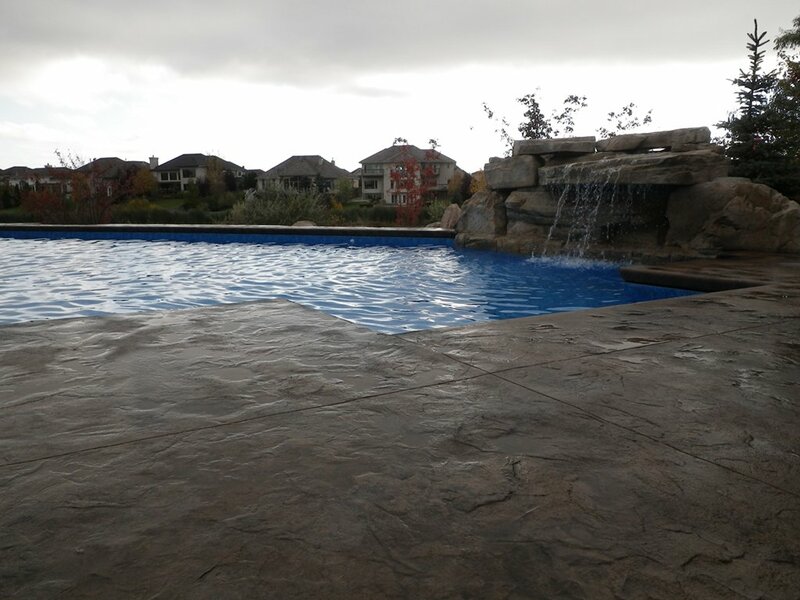 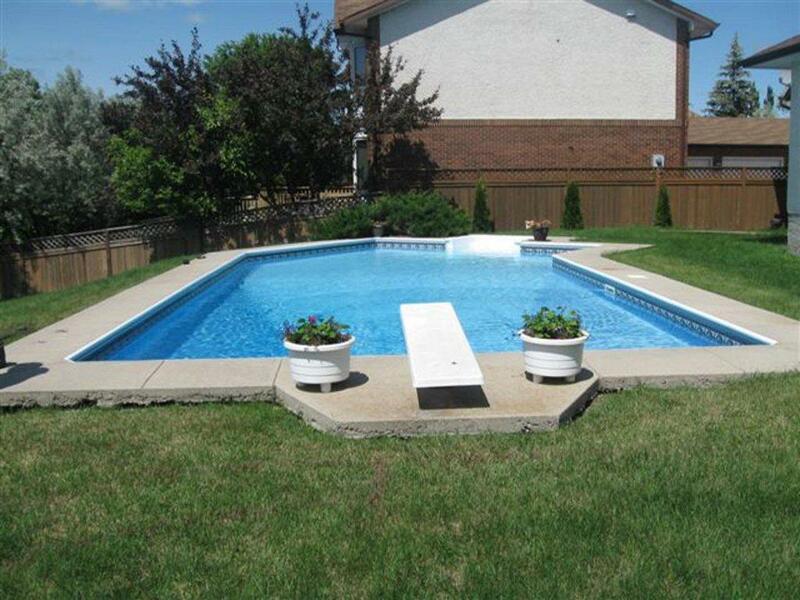 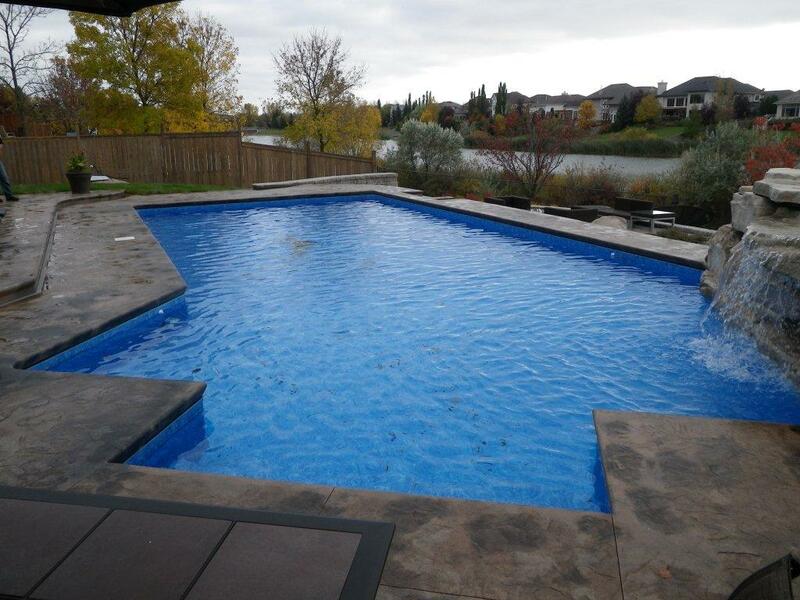 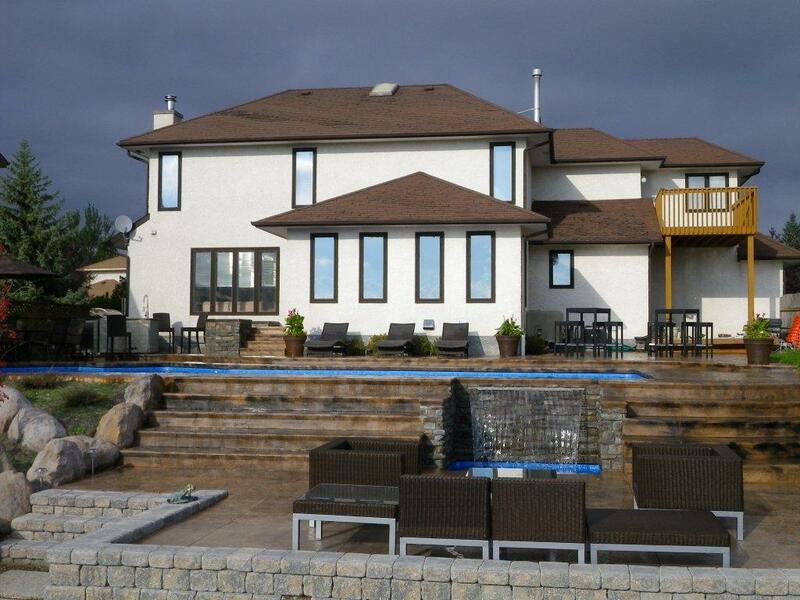 After living with a traditional vinyl lined pool for 30 years, the pool owners were ready to create something special. 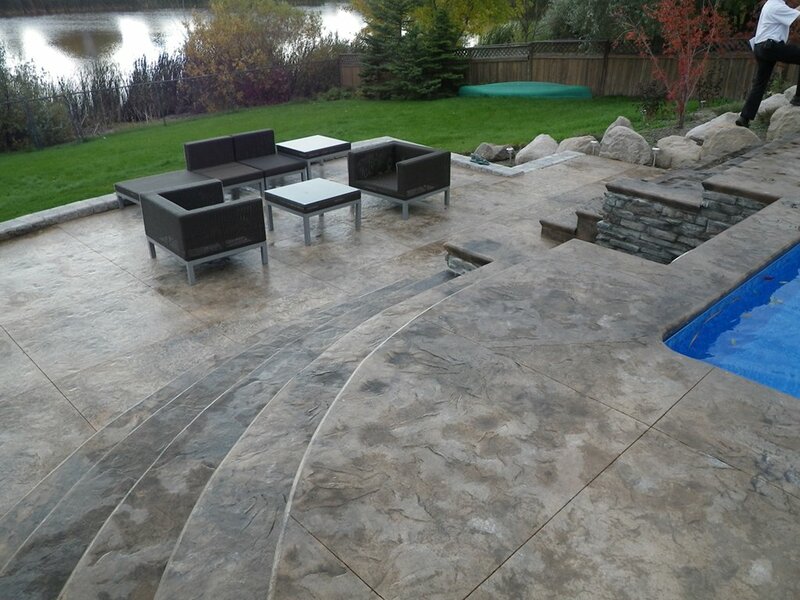 The top of the wish list included creating two distinct entertaining areas as well as three unique site lines. 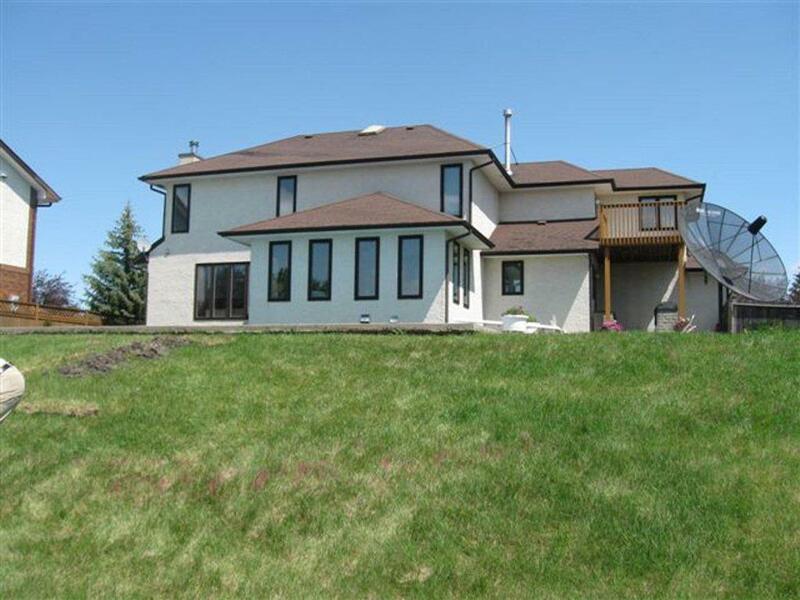 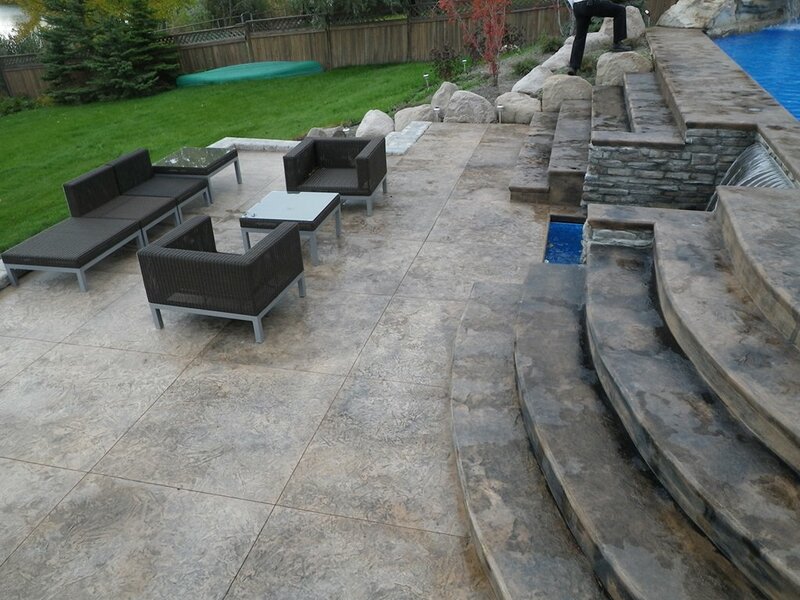 The challenge was incorporating the severe elevation existing on the site along with access in and out of the house. 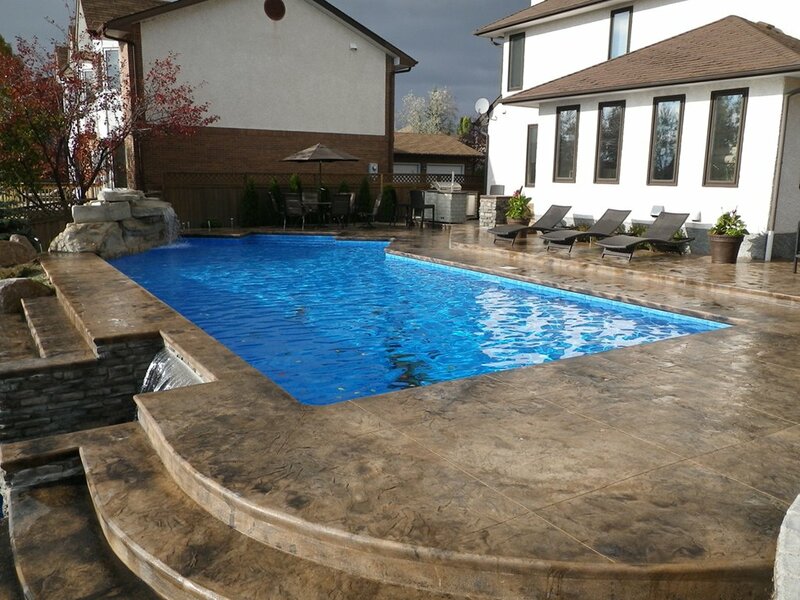 By creating a water feature on the top and bottom level, regardless of where these homeowners are—having morning coffee in the kitchen, beside the outdoor kitchen on the south deck or a night cap on the lower patio reading—they can enjoy the sound of sheer descent water and find serenity. 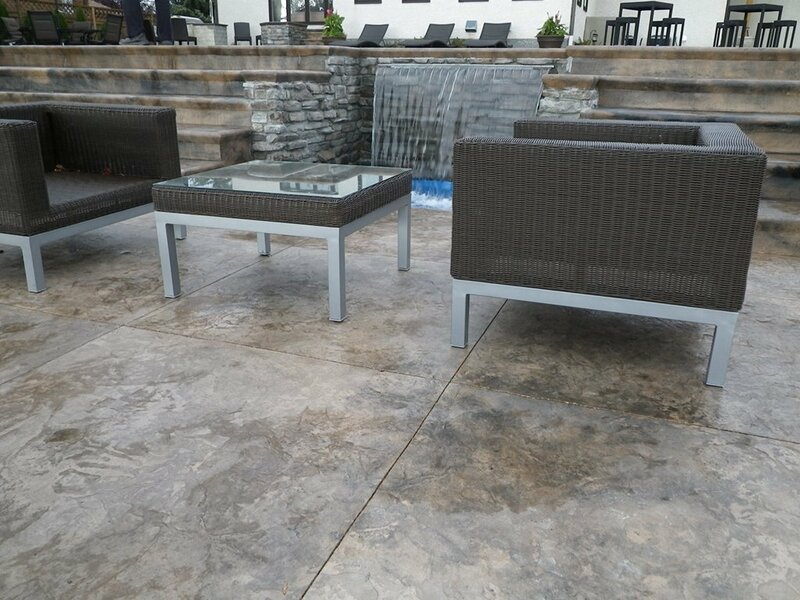 The Aqua-Tech design and engineering team knew that we needed to bring water to the lower level entertaining area—a patio space comfortable for a gathering of 50 plus people. 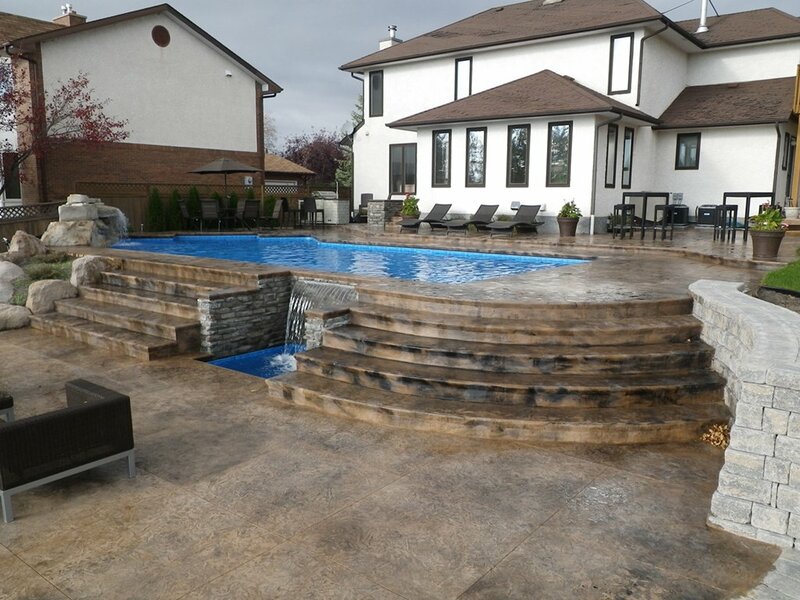 The insertion of a 5 foot illuminated sheer descent water feature that cascades into a lower level cooling pond allowed the entire project to harmoniously join together, creating a cohesive appearance. 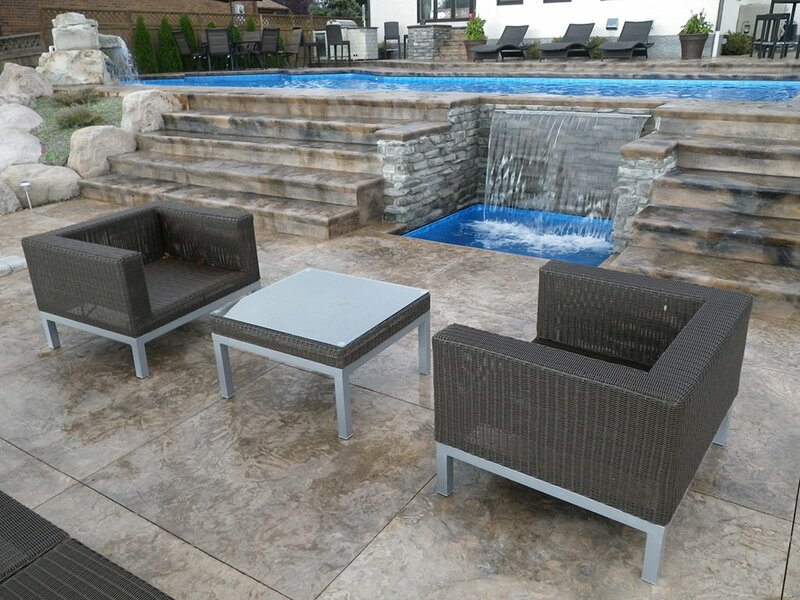 Request Your 3D Drawing and Bring Your Vision to Life! 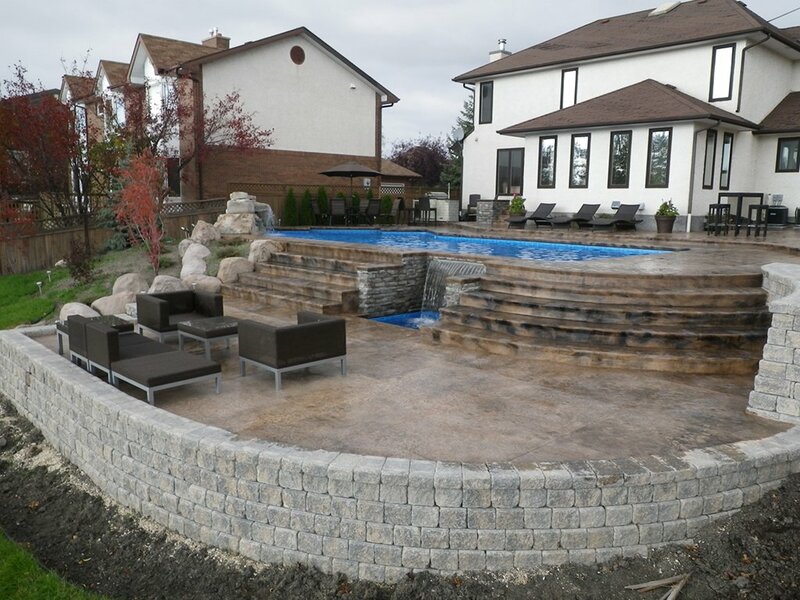 When you work with our team to create the backyard of your dreams, we'll provide you with a FREE 3D drawing of your incredible new space to help you visualize exactly how your renovations will transform your property!